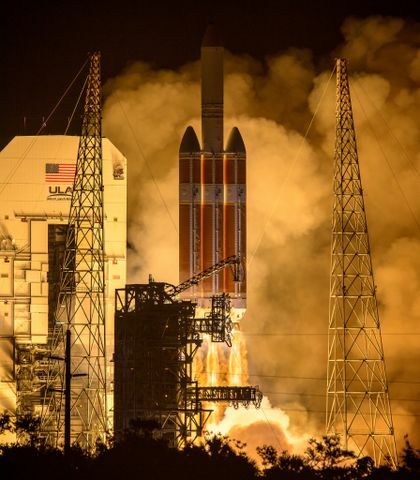 Smiles, laughter and the sounds of launch countdowns filled the air at the Phoenix Children’s Hospital Camp Rainbow as Orbital ATK employees volunteered their time for a night of rockets and stars. The “Stars” of the event were the 50 children ages 7 through 12 who have either had cancer or are currently undergoing treatment for cancer, along with some who have serious blood disorders. 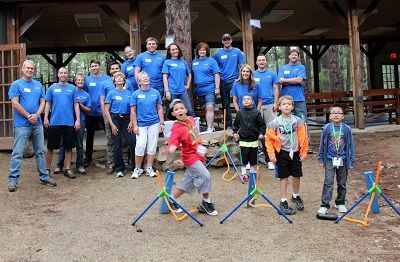 The week-long camp gives these children a chance to just have fun and be a kid in an environment that is supported by a full medical staff. 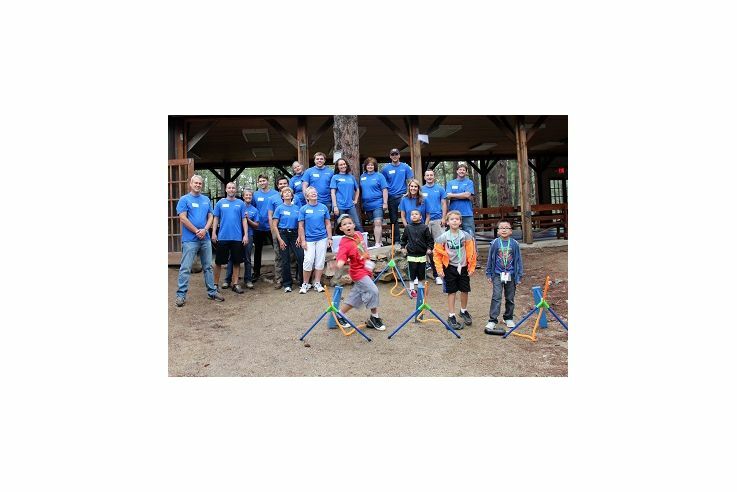 A group of 15 volunteers from Orbital ATK's Launch Vehicles Division drove to the Rainbow summer camp located in Prescott, Arizona. 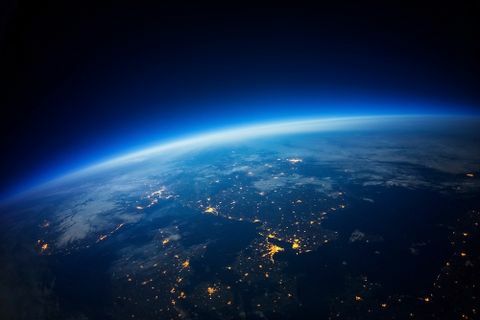 The night started out with a Skype call with former five-time astronaut and Orbital ATK Vice President of Strategy and Business Development, Kent Rominger. The session included questions and answers from the children regarding NASA’s mission to Mars. 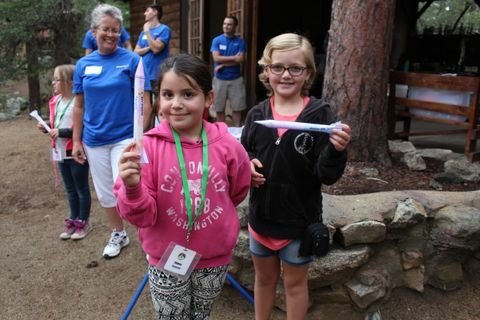 Following the astronaut session, employees joined the children in outside activities, where teams launched paper rockets while aiming for a target bucket, jumped and cheered as they learned a little chemistry, launched Alka-Seltzer rockets, received a “launch team” drawstring backpack and had a blast! Volunteers from Orbital ATK's Launch Vehicles Division had a blast at a night of rockets and stars with children from Phoenix Children’s Hospital Camp Rainbow. 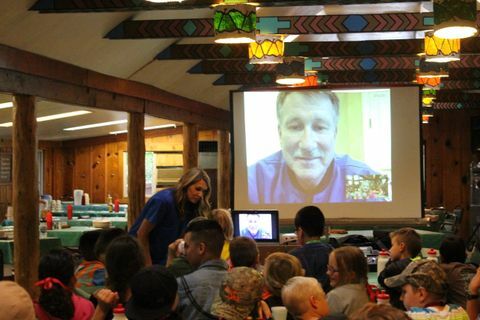 Children were treated to a visit via Skype with former five-time astronaut and Orbital ATK Vice President of Strategy and Business Development Kent Rominger. 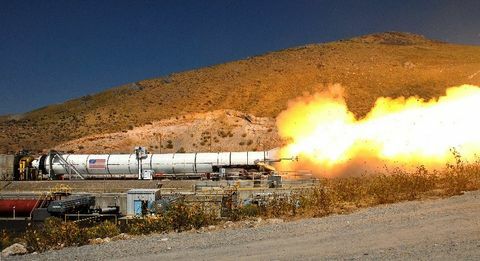 Children show off their rockets before launch.